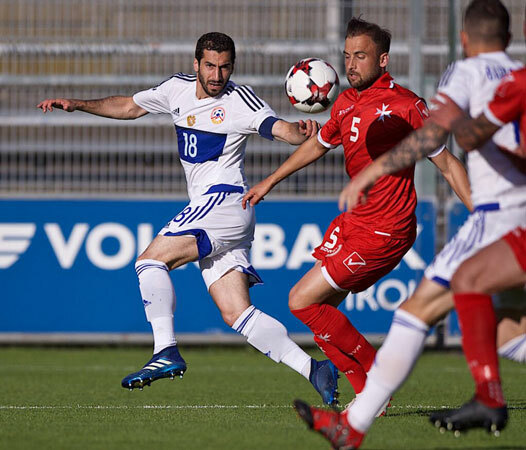 Malta and Armenia shared the spoils in a 1-1 draw in a friendly match at the Gernot Langes Stadion in Wattens, Austria on Tuesday. A match which marked the debut of new Malta national coach Ray Farrugia. 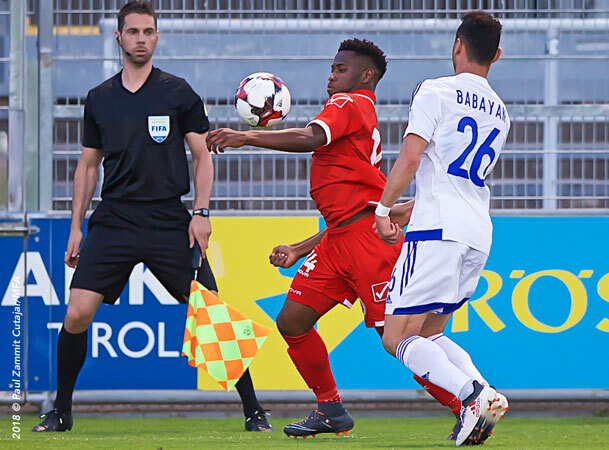 This was the first positive result for Malta after three defeats in the last three matches against Estonia, Luxembourg and Finland under the guidance of the Belgian Tom Saintfiet. Farrugia made wholesale changes from the team which lost heavily to Finland in Turkey last March as Cain Attard, Jean Borg, Andre Schembri and Jean Paul Farrugia were ruled out injured, Luke Gambin was retained on the bench while Rowen Muscat was not selected for this training camp. Andrew Hogg was confirmed in goal while Gozitan defender Ferdinando Apap of Victoria Hotspurs was handed his debut as he joined Steve Borg, Andrei Agius and Joseph Zerafa in defence. Roderick Briffa joined Paul Fenech in midfield while Michael Mifsud and Alfred Effiong supported Kyrian Nwoko in attack. Another three Under-21 internationals – Myles Beerman, Jake Grech and Joseph Mbong were included as substitutes with the latter two therefore making their debut for the senior team. Armenia managed to take the lead on the 13th minute when Arsenal’s Henrikh Mkhitaryan served Ivan Yagan who slotted the ball past Hogg. However just before the end of the first half, Malta was awarded a penalty after a defender handled the ball inside the area. From the penalty spot, Andrei Agius made no mistake to level matters. During the second half, the two teams shared the exchanges with both sides creating goal-scoring opportunities. Thirteen minutes from time, Armenia had Varazdat Haroyan sent off. 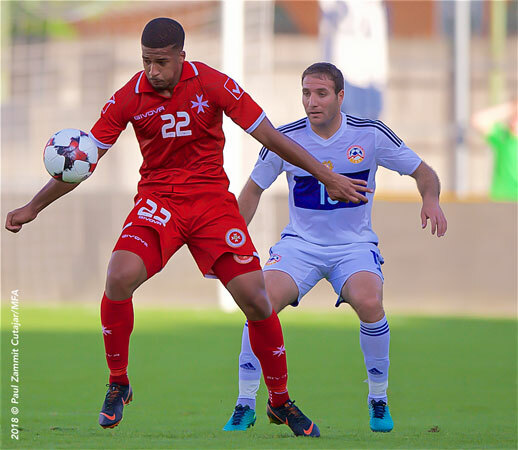 Malta will be in action once again on Friday against Georgia in another friendly match in Austria. MALTA Andrew Hogg, Joseph Zerafa (81’ Andrew Cohen), Steve Borg, Andrei Agius, Stephen Pisani (76’ Joseph Mbong), Paul Fenech, Michael Mifsud (89’ Jurgen Degabriele), Roderick Briffa (77’ Jake Grech), Ferdinando Apap (86’ Ryan Camilleri), Alfred Effiong, Kyrian Nwoko (65’ Myles Beerman). ARMENIA Aram Hayrapetyah, Joao Jordi Ararat (46’ Hovhannes Hambardzumyan), Varazdat Haroyan, Gael Andonian, Karlen Mkrtchyan (72’ Artak Yedigaryan), Gor Malakyan, Gevorg Ghazaryan, Tigran Barseghyan (78’ Hayk Ishkhanyan), Ivan Yagan (61’ Edgar Babayan), Hrayr Mkoyan, Henrikh Mkhitaryan.